Click here for a sample of ANC047. In addition to its polymorphic allele, the melanistic jaguar carries the burden of a mythological legacy. Panthera onca, known already for its stealth and ferocity, has long been considered especially brutal in its sleek obsidian form. Indigenous Mesoamerican cultures revered the commanding predator, imbuing it with a variety of meanings: embodiment of aggression, ruler of the underworld, portent of disaster, an unleashing of desires. Such grave symbology was constructed upon nothing more than straightforward color variation. 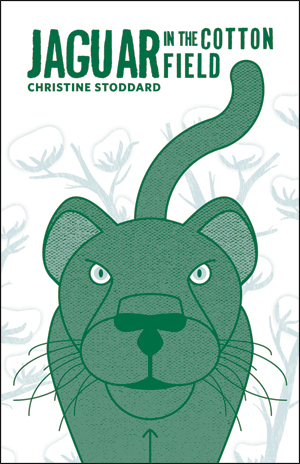 Genetics and the perception thereof also factor in to Christine Stoddard's Jaguar in the Cotton Field, though in a somewhat less savage context. Focusing on the biracial female experience, Stoddard traces the outlines of her heritage and the world she navigates today; her words weave through topics including the Salvadoran civil war, Loving v. Virginia, Kim Kardashian, and the inexhaustible surge of gentrification. As it does for countless others, our current political landscape weighs heavily on Stoddard's thoughts. While some beasts lurk in shadowy jungles, society increasingly enables many more to pursue their prey in the light of day.